Last week, we discussed quite a bit about fake wedding cakes, including information from several cake designers and other vendors in Canada that rent them. Today, let's talk a little bit more about the pros and cons of using a fake cake. 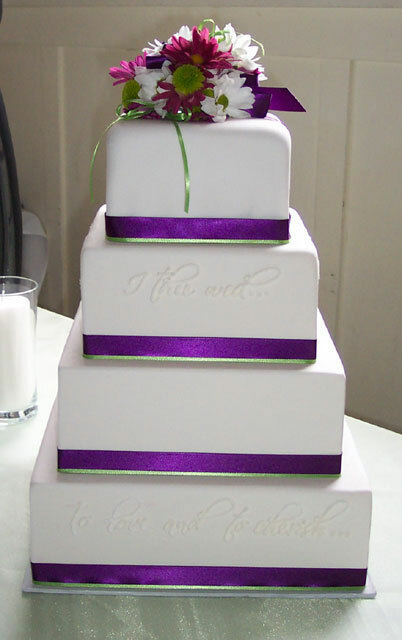 With a fake wedding cake, you can get the look of a luxurious cake without the enormous price tag. A large, intricate wedding cake can put a big dent in your wedding budget. And much of the wedding cake usually goes to waste, as not every guest will actually eat cake. However, the dilemma is that it looks tacky to just have a small wedding cake on the sweet table. Therefore, instead you can have a beautiful, elaborate fake cake for show, and a small sheet cake in the back kitchen to serve. The cost of a sheet cake is very inexpensive. So even added together with the price of a fake cake, you will generally still save you money. Another thing to consider is the durability of a fake cake. 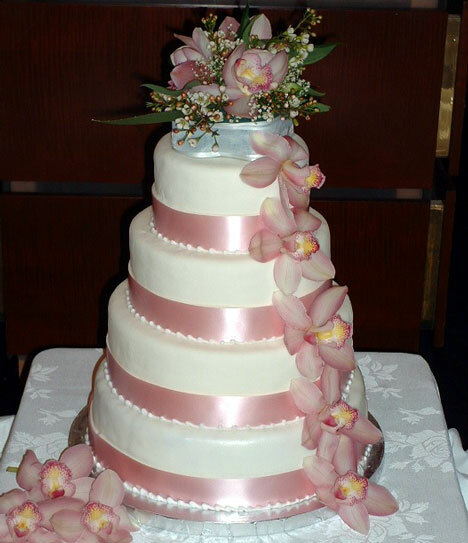 Oftentimes the icing on a real wedding cake will start to melt or slide off during the reception. Also, after hours at room temperature, tiered cakes usually begin to lean. 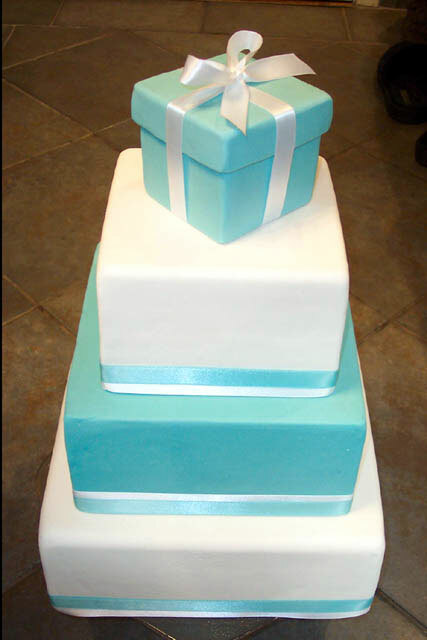 With a fake styrofoam cake, the fondant and other decorations can last much longer and stay looking pretty throughout your event. Additionally, a fresh piece of sheet cake from the kitchen will probably taste better than wedding cake that has been sitting outside in a smokey room full of dancing people for hours!. One of the biggest reasons couples are resistant to using a dummy wedding cake is because of the tradition of the cake cutting ceremony during the reception. There are, however, many ways to get around this and still use a fake cake. You can arrange for one tier of your wedding cake to be real cake and the rest of it fake. Then, you can use the actual layer for the cake cutting. Some companies also have fake cakes with a little trap door where you can place a piece of real cake. When it's time for the cake cutting and photo-op you can just pull out the slice. However, this seems like a lot of trouble to me. The bottomline is that your guests probably don't care at all if your wedding cake isn't real as long as the cake they are served is delicious! A fake cake looks fabulous in photographs. And years after your wedding is over when you look back, you will probably barely even remember it wasn't real yourself. When it comes down to it, the decision is primarily a monetary one. If you have money to splurge on your wedding cake, you can go all out with an elaborate, luxurious real cake. However, if you are planning your wedding on a budget, you might consider a fake cake as a reasonable cost-cutting manuever. How do you find fake cakes? You can research regionally, by browsing wedding cake & bakery listings by city in our directory, see which vendors in your area carry them. fake wedding cakes in Edmonton etc etc.. These searches will try to separate at least those vendors who are advertising fake cakes, save you a bit of time..